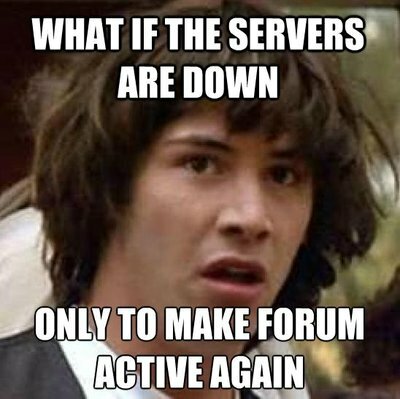 I thought they were trying to kill/phase out the forums… 😛 evidence that this downtime only showed up in the EQ2 forums because a PLAYER posted it…. Day 1 had login server issues, denying some/many players double ascension. Day 7 has five (5) hours of maintenance, denying some/many players double ascension. With the Daybreak definition of “Week” being five (5) days, the following will be interesting. Great time to do the update…just more good decision making.